The medallion is cast in bronze and is approximately 75 millimetres high and 50 millimetres wide. 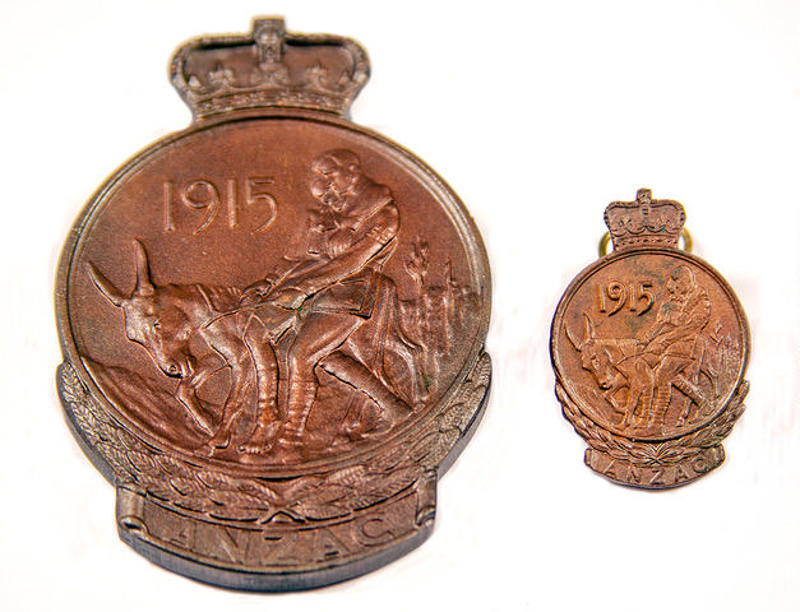 The obverse of the medallion depicts Simpson and his donkey carrying a wounded soldier to safety. It is bordered on the lower half by a laurel wreath above the word ANZAC. The reverse shows a map in relief of Australia and New Zealand superimposed by the Southern Cross. The lower half is bordered by New Zealand fern leaves. The name and initials of the recipient is engraved on the reverse. Badge: Surviving members were also issued with a lapel badge in the form of a small replica of the medallion to recognise their Gallipoli service. The medallion and badge were issued in a presentation box.